Through the eyes of fans a baseball game involves pitching, hitting, running and scoring — strikeouts, home runs and stolen bases. But a good coach sees a different game: the strengths, weaknesses, potential and future of his players. 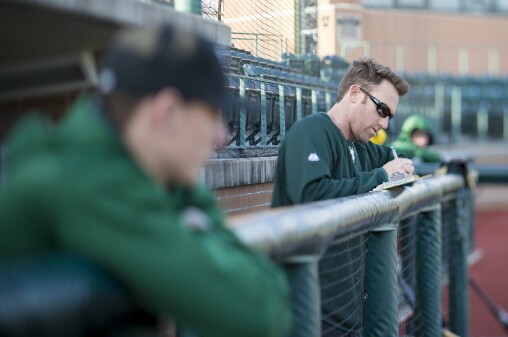 Wright State’s head baseball coach Greg Lovelady stays busy examining his 35 Wright State student-athletes and recruiting new players. While Lovelady cares about what happens on the field, mastering the game is not the only lesson he hopes his players take away. To do well at baseball, Lovelady said, players must have skill and a good work ethic. A five-tool player can play defense and has good arm strength, power, speed and the ability to hit. A typical week for Lovelady, who has played baseball since he was 5 years old and has coached 15 seasons, consists of office work, recruiting players, meeting with high school coaches, attending Wright State practices, writing emails to baseball alumni and fundraising. The summer is the busiest time for Lovelady as he looks for potential high school players to recruit. Coaching is a 24-7 job, he said. The team travels for nine weeks during the season, which takes him away from family. His phone is left on until midnight in case one of his players or a recruiter calls. When he returns home, he and his players have practice the following day. At 3:30 p.m., the team practices while Lovelady watches the players’ forms and techniques, speed and batting skills and manages medical issues. Coaching generation after generation has taught Lovelady a few things about players. Coach Greg Lovelady taking notes during a recent practice. Despite the exhaustive schedule and various generational changes, the rewards greatly outweigh them all. Lovelady stays in contact with many of his former players. Being a family man is very important for Lovelady both on and off the field. 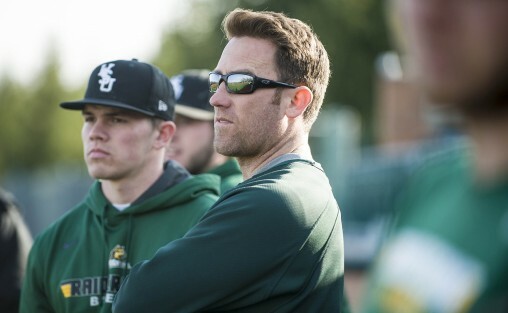 Coaching baseball at Wright State is a blessing, Lovelady said. The Wright State baseball team finished 41-15 overall and in first place in the Horizon League with a 23-6 record. The Raiders earned the top seed in the Horizon League Tournament, which begins Wednesday, May 25, at Wright State’s Nischwitz Stadium.